Is Elizabeth Warren’s genetic test conclusive? If you watch TV ads for genetic tests, it all sounds so simple: Send in a sample, and, a few weeks later, you can find out the long-lost roots of your family tree. Unfortunately for Senator Elizabeth Warren, the truth may be more complicated. While some geneticists said Monday that the DNA test Warren released provides credible scientific evidence of her Native American ancestry, others cautioned that indigenous identity and tribal membership are not determined by genetics but by longstanding cultural, familial, and historical ties to a Native American tribe. “The misconception here is that any single test provides a definitive answer, and that’s not accurate at all,” said Rick W. A. Smith, an anthropological geneticist at Dartmouth who researches genomics and tribal sovereignty. Several experts said that Carlos D. Bustamante, the renowned Stanford geneticist whom Warren hired to test her DNA, had produced a solid result showing she has a Native American ancestor six to 10 generations in her past. Warren has never claimed membership in a particular tribe, only that she has ancestors who were Native American. 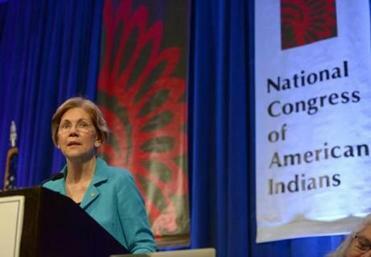 Senator Elizabeth Warren, who has been dogged politically for years by her past claims of Native American heritage, shared the results of a DNA test with The Boston Globe. Warren, pointing to stories passed down from her family in Oklahoma, has long asserted that her great-great-great-grandmother, O.C. Sarah Smith, was at least partially Native American. She identified herself as Native American as a law professor at the University of Pennsylvania and at Harvard, but no evidence suggests her ancestry was a factor in her rise in academia. Frederika Kaestle, an associate professor of anthropology at Indiana University, said the results appeared to bolster Warren’s family lore. “I would certainly say the evidence is consistent with her family’s understanding of her history, which is that they have at least one Native American ancestor,” said Kaestle, director of the Ancient DNA Laboratory of Molecular Anthropology. Eske Willerslev, an evolutionary geneticist at the University of Cambridge, agreed. Critics, however, pointed out that test results can vary dramatically depending on the DNA database each lab or testing company uses, and that even some people who identify as Native American don’t have the genetic markers for Native American ancestry. Moreover, modern-day tribal affiliation is a social, political, and legal matter, not based on DNA results. Individual tribes do not have specific DNA markers, Smith said, so a DNA test could not determine whether Warren has Cherokee or Delaware blood. Detecting DNA for Native Americans is tricky because there is an absence of Native American DNA available for comparison. This is in part because of historical distrust of non-Native researchers and because Native American leaders have expressed concerns that their right to determine tribal membership could be usurped by genetic testing. To make up for the dearth of DNA from Native American tribes in the United States, Bustamante matched Warren’s DNA with samples from indigenous peoples in Mexico, Peru, and Colombia. Those samples can be used as a substitute for Native American tribes, geneticists said, because Native Americans first came through the Bering Strait about 12,000 years ago, and then migrated from what’s now the United States into Central and South America. “Dr. Bustamante is one of the world’s experts in this, and his analyses are not junk science but legitimate and unambiguous,” said Jennifer A. Raff, an anthropological geneticist at the University of Kansas who specializes in Native American population history. Raff and others cautioned, however, that just because Warren has Native American ancestry does not mean she can claim to be Native American. “If you’re talking about creating authenticity and legitimacy around being indigenous, it really has to be about knowing and understanding your culture and your history,” said Keolu Fox, a genome scientist at University of California San Diego, who is Native Hawaiian. Krystal Tsosie, a member of the Diné Nation of Arizona, who is completing a PhD in genomics at Vanderbilt University, agreed that the test does not prove Warren is Native American. Kim TallBear, an associate professor at the University of Alberta who researches indigenous people and technoscience, accused Warren and Bustamante of making “settler-colonial claims to our cultural and biological patrimony.” She wrote on Twitter that she felt nauseated after watching Warren’s video about her DNA test. Michael Levenson can be reached at mlevenson@globe.com. Follow him on Twitter @mlevenson.